Episode fourteen, “Bedazzled,” is what TV folks call a bottle episode, taking place mostly on the regular sets. The creators still find room for lots of horror goodness, though. This week we’re dealing with a cursed lantern. Its light burns people to a crisp, and then it shows its owner, a fisherman named Jonah, where undersea treasure is buried. 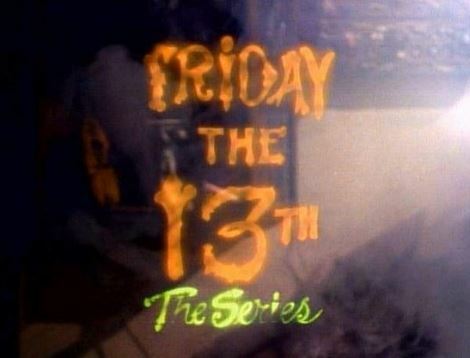 The episode begins where most end, in which Ryan and Jack get the lantern away from its owner in a life-or-death fight. Back at the store, Ryan and Jack leave for an astrologer’s conference (is that a thing?) and Micki is babysitting a friend’s kid, Richie, in the store. Jonah and an accomplice named Tom break into the store. 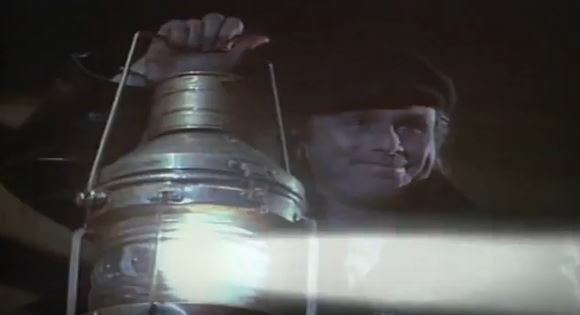 They hold Micki and Richie hostage, demanding Micki return the lantern. 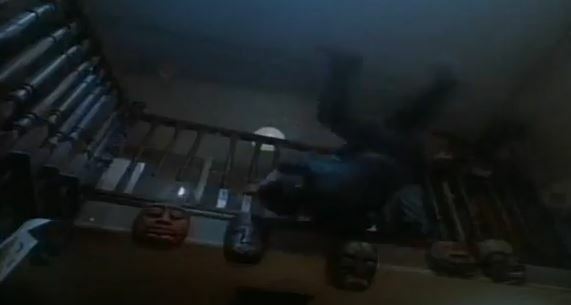 While Micki tries to escape and then outwit her captors, a cop stops by the store, The cop shoots Tom and is killed by Jonah. Micki affixes a wire to the lamp, electrocuting Jonah. He’s not done yet, though. 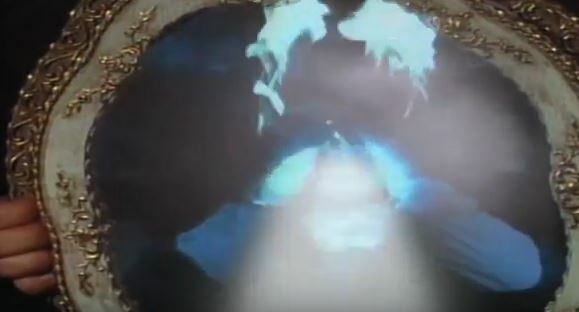 He turns the lamp on Micki, only for her to reflect its light back on him, burning him to death. When Ryan and Jack return the next day, only Micki and Richie have any knowledge of what happened that night in the store. When the show is smart: One thing that makes the show so entertaining is that it can be a different horror subgenre every week. This time it’s the home invasion/hostage drama thing. Confined to only three rooms, Micki and the villains play out a psychological cat-and-mouse game. When the show is cheesy: I’m at a loss as to what the little kid, Richie, is even doing here. I guess it’s to add an extra element of danger — we know series regular Micki won’t die, but what about the kid? Still, this would pretty much be the exact same plot without him. – This episode was directed by TV veteran Alexander Singer. Although most well-known for his work on Star Trek: The Next Generation, Deep Space Nine, and Voyager, his directing credits span the ‘60s through the ‘90s. Back in the vault: I enjoy this show for its creativity, and how the writers kept trying new ideas, never wanting to repeat themselves. “Bedazzled” stands out, just because there’s not another episode like it. Next week: High school is hell.